SHANGHAI (Reuters) - China is planning to grant more countries visa-free access to Hainan, the state-owned Securities Times quoted an official as saying on Saturday, in a move aimed at further opening up the southern island province to foreign investment. Chi Fulin, the head of the Hainan-based China Institute for Reform and Development, told a forum on Saturday that the visa-free access policy would be expanded to tourists from all countries that have diplomatic ties with China. "(The implementation) of the policy won't take long," Chi was quoted as saying by the state media. Under the current arrangement, tourists from 59 countries, including the United States, can visit Hainan visa-free and stay there for up to 30 days. 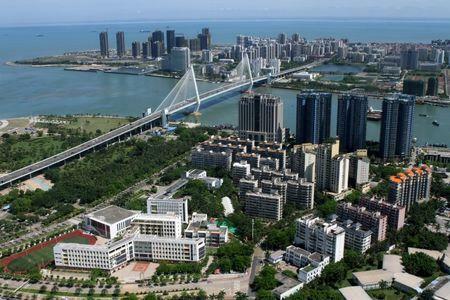 He said he expected Hainan's population to grow to around 15 million from around 9 million now. China aims to establish a free trade zone in Hainan by 2020 and will encourage multinational companies to set up their international and regional headquarters there as part of its plans to open the province's economy up to foreign investors.